BLOOMINGTON, Minn. – The Western Collegiate Hockey Association (WCHA) announced today its weekly recipients of their Player of the Week awards. 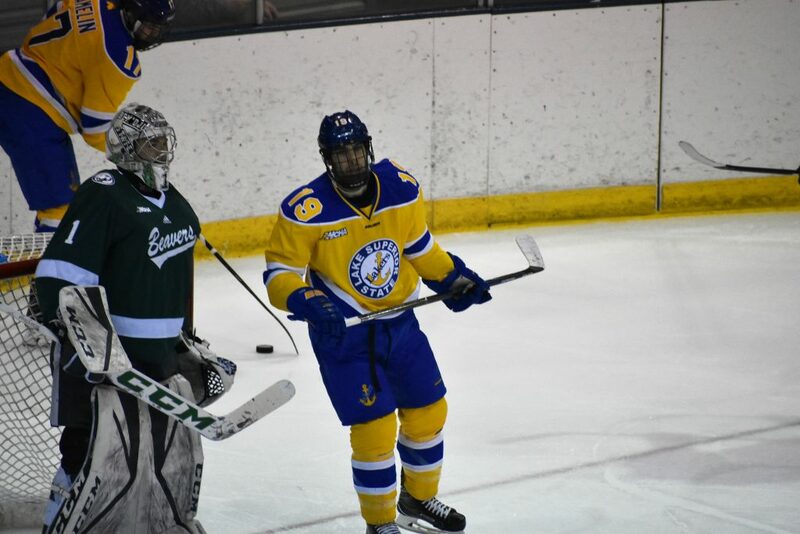 Among the recipients was Lake Superior junior forward Anthony Nellis. Nellis, a native of Breakyville, Quebec, was named Player of the Week by scoring both game winning goals (plus an assist) against Alaska-Anchorage on February 9-10. The goal on Friday was an overtime winner. A junior, Nellis won his first ever weekly league award. In winning, he was selected over senior Jordan Heller of Bemidji State, Michigan Tech senior Joel L’Esperance, Minnesota State sophomore Marc Michaelis and junior Denver Pierce of Northern Michigan. In addition to Nellis’ win, goaltender Mareks Mitens was nominated for WCHA Rookie of the Week for his 22 save win over the Seawolves on Saturday. Ethan Somoza, a forward from Bemidji State, won for his two points on the weekend.